The polyphenols and nitrates in fresh pomegranate juice make it an interesting supplement for weightlifters – and probably for other strength athletes too. But they need to drink 1.5 litres a day, report Tunisian sports scientists from the University of Sfax in PLoS One. The researchers used nine experienced weightlifters as their subjects, who on two different occasions did a classic weightlifting training session of short sets with very heavy weights. Read more about the type of training they did here. 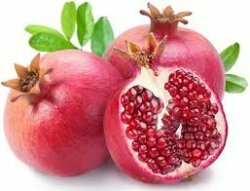 Supplementation with pomegranate juice boosted both the maximal weight that the participants were able to use for training and their total training volume. The figure above shows that the subjects experienced the training session as less tiring after drinking pomegranate juice. 5 = Heavy, 7 = Very heavy, 10 = Very, very heavy. After drinking pomegranate juice before the workout, the weightlifters reported that their muscles were less sore two days later. Leucine activates SIRT1/AMP-activated protein kinase (AMPK) signaling and markedly potentiates the effects of other sirtuin and AMPK activators on insulin signaling and lipid metabolism. Phosphodiesterase 5 inhibition increases nitric oxide–cGMP signaling, which in turn exhibits a positive feedback loop with both SIRT1 and AMPK, thus amplifying peroxisome proliferator-activated receptor γ co-activator α (PGC1α)-mediated effects. We evaluated potential synergy between leucine and PDE5i on insulin sensitivity and lipid metabolism in vitro and in diet-induced obese (DIO) mice. Results: Leucine (0.5 mM) exhibited significant synergy with subtherapeutic doses (0.1–10 nM) of PDE5-inhibitors (sildenafil and icariin) on fat oxidation, nitric oxide production, and mitochondrial biogenesis in hepatocytes, adipocytes, and myotubes. Effects on insulin sensitivity, glycemic control, and lipid metabolism were then assessed in DIO-mice. DIO-mice exhibited fasting and postprandial hyperglycemia, insulin resistance, and hepatic steatosis, which were not affected by the addition of leucine (24 g/kg diet). However, the combination of leucine and a subtherapeutic dose of icariin (25 mg/kg diet) for 6 weeks reduced fasting glucose (38%, P<0.002), insulin (37%, P<0.05), area under the glucose tolerance curve (20%, P<0.01), and fully restored glucose response to exogenous insulin challenge. The combination also inhibited hepatic lipogenesis, stimulated hepatic and muscle fatty acid oxidation, suppressed hepatic inflammation, and reversed high-fat diet-induced steatosis. These robust improvements in insulin sensitivity, glycemic control, and lipid metabolism indicate therapeutic potential for leucine–PDE5 inhibitor combinations. 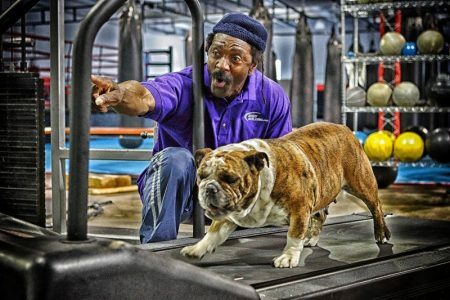 How Do Fitness Trainers Stay Motivated to Exercise?